If you're looking to buy some Apple products for cheap, you might want to clear out your plans for the weekend because the annual Machines Warehouse Sale is back! 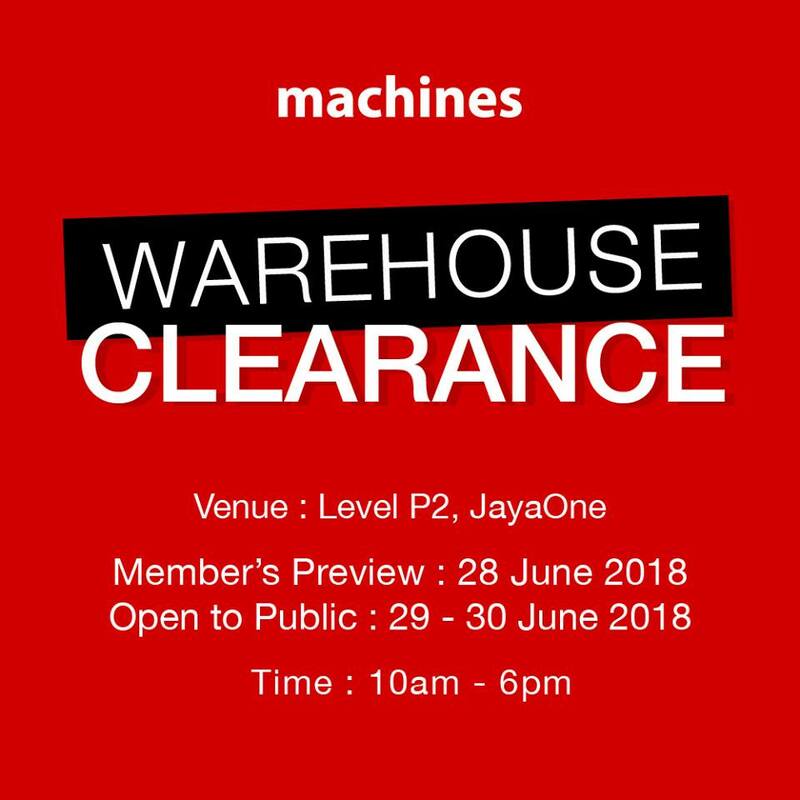 It starts on 28 June 2018 for Machines+ members and will be open to the public from 29 to 30 June 2018. This year's instalment will take place at Level P2 in Jaya One, Petaling Jaya, from 10am to 6pm. If you're on the hunt for iPhone deals, you can purchase the iPhone 6s Plus for only RM1,680. Ex-demo iPhone 7 128GB units will also be up for grabs at RM1,533. Apple's flagship smartphone, the iPhone X, will see a price slash as well. A 9.7-inch iPad starts at RM646. There’s also an ex-demo 27” Apple Thunderbolt Display going for less than RM1,500. The cheapest electronic product on sale out of the lot is an iPod Nano 16GB for only RM278. Interestingly, we don't see any MacBook or iMacs in the promo. But Machines did say there will be "many more" to check out. Have fun shopping, guys! Bring enough cash and get to the venue early because limited units will be available. Get more details about the sale here. The feature is integrated into the Grab app.